Yet another service is asking you to change your password. 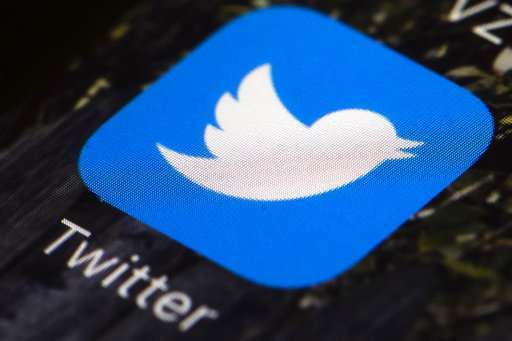 Twitter said Thursday it discovered a bug that stored passwords in an internal log in plain text, without the usual encryption. Though Twitter says there's no indication that anyone has stolen or misused those passwords, the company is recommending a change as a precaution. Here are some tips on coming up with a new password and safeguarding your account—even if your password is compromised. Don't even think of using "password" as your password. Picking any common word as your password should be avoided because it's easily guessed using software that tries out every word in the dictionary. Some services will even require your passwords to have certain characteristics. As you type a new password on Twitter, the service will tell you whether it's "Too Obvious" or "Weak." Go for "Very Strong." Each service should have its own password. If you use "rocket44!calendaR" on Twitter, don't use it on Facebook. Once hackers get your password on one service, they'll try it on other services, too. Outsmart them by using a fresh password each time. It can be as simple as adding the first three letters of the service's name, so Twitter gets "rocket44!calendaRtwi" and Facebook gets "rocket44!calendaRfac." You can turn to a password-manager service to help you keep track of various passwords, though make sure the one you use hasn't had its own security problems . If you're storing passwords in a spreadsheet or other document on your computer, be sure to protect it with its own password (Microsoft Office lets you encrypt files). Avoid naming the file "passwords." Call it "badmovies" or something innocuous. Some security experts recommend that you change your passwords frequently, though treat that advice with caution. When there's a breach, it doesn't matter whether that password is two weeks or two years old. And if you change passwords too often, you risk forgetting them and falling back on simpler, less-secure passwords. You can ignore much of this advice if you just do one thing: Turn on two-factor authentication, which Twitter calls "login verification." You'll get a text with a code each time you try to log in from a new device or web browser. So even if hackers get your password, they can't do much unless they have your phone—or some other way to intercept the code. Just for the record, if you have any say in a website's password system. Too many rules, make passwords harder to remember, and easier to brute force attack. A rule requiring eight characters is relatively harmless. But a rule saying that a password must contain at least one uppercase, one lowercase letter, and a punctuation mark from a limited set? Probably enough to make brute force practical--and a brute force attack that generates more probable passwords first might be even easier. What should you do? Allow any graphic character. Limiting to the 192 printable characters in Latin1* is probably okay from anywhere except Eastern Asia. The next step up is to permit Unicode, especially if your website is set to use it. Require any eight Unicode characters, and provide advice on how strong a password is. That will make brute force on your site hopeless. Yes, there are lots of other attacks to worry about, but not in this memo. * Any LatinN character set will work.